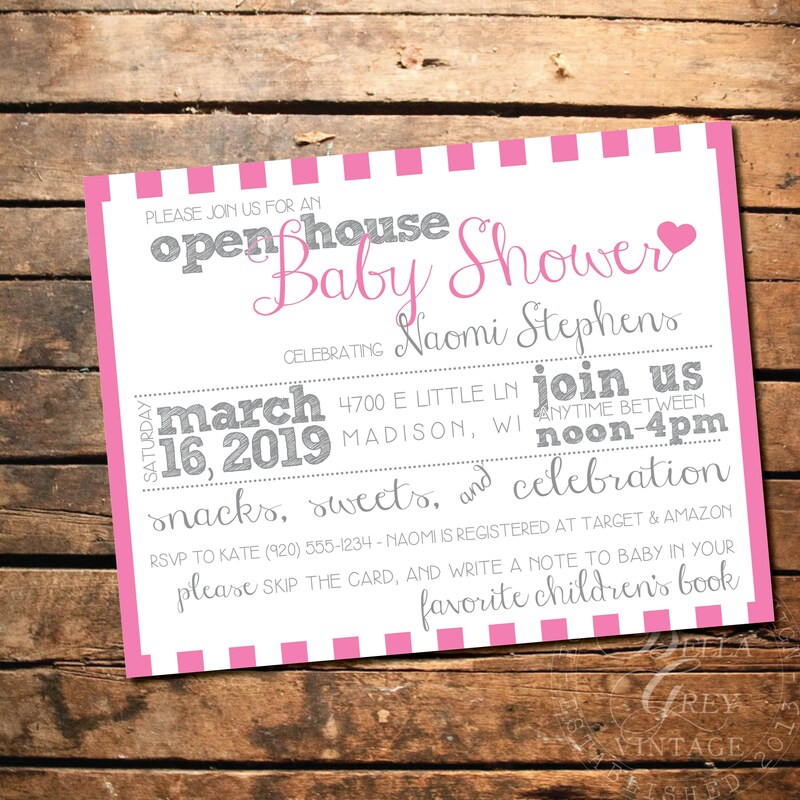 Celebrate the Momma-to-Be with this sweet pink heart themed baby shower invitation! Shown as a 5.5"x4.25" flat card with pink accents. Price shown is for the invitation as shown, with your party details added. Wording, colors and size may be customized. Additional design charges apply, contact us for pricing. • Date, Time, Event, Location, Address, RSVP, and registry information. Please be sure to spell check, as details will be included as you have written them. 2. You'll receive a digital proof to your Etsy registered email (or other email if specified) for your review. Please see the shipping tab for current turnaround time. 3. Once I receive your final approval for the design, I'll send out your invitations! You'll receive a full resolution 300dpi PDF file of your design. You will not receive any printed items in the mail unless you add-on our professional printing service. Save the hassle of printing yourself and order your invitations through us! We offer several luxurious yet FSC certified eco-friendly paper choices with double-sided full color design. For invitations without a back page design, a coordinating pattern will be printed on the reverse side. As computer monitors have different color calibration, colors may print differently from what you see on your screen. Once the FINAL proof has been approved, Bella Grey Vintage is not responsible for errors or undesired colors that occur during the print process.